Common names for Pyrola picta Sm. include ‘white-veined wintergreeen’ and ‘picture-leaf wintergreen’, along with a few other variations on this theme. Photobleaching along the primary, secondary, and (to a lesser extent) tertiary veins in the leaf laminae can be quite striking against the ground, or appear camouflage in forests where light flecks created by the tree canopy move across the forest floor. Below are some examples of what I mean from forests in (A) Steamboat Springs,CO (B) Lassen County, CA, (C) southern British Columbia, CAN, (D) Burney Falls, CA, and (E) a spot near Burney Falls, CA. These light flecks can make it difficult to distinguish immediately between P. picta and some of its look-alikes…. 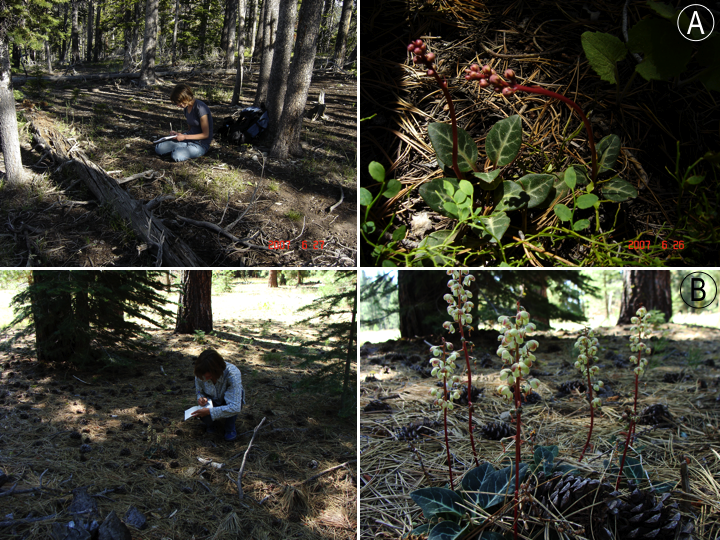 Studying Pyrola picta in light-flecked forests: (A) top, Steamboat Springs, Colorado, (B) bottom two, west of Susanville, California. 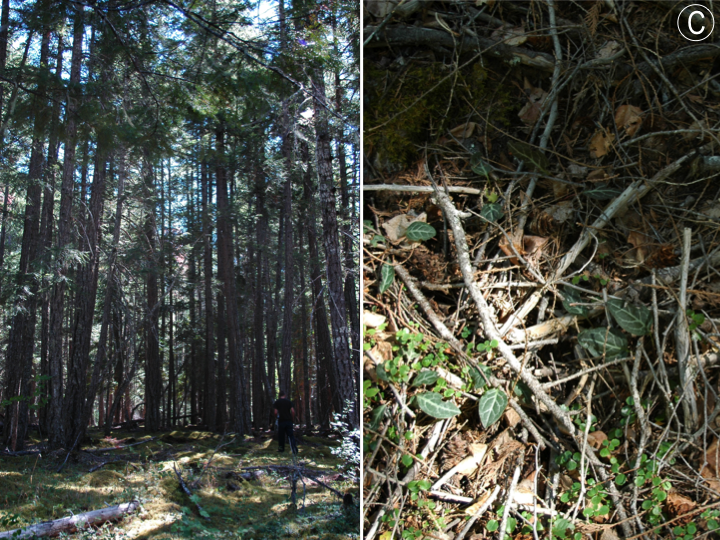 Another light-flecked forest, this time in southern British Columbia on a field trip with Karl Jolles. North-central California, outside Burney Falls, California. 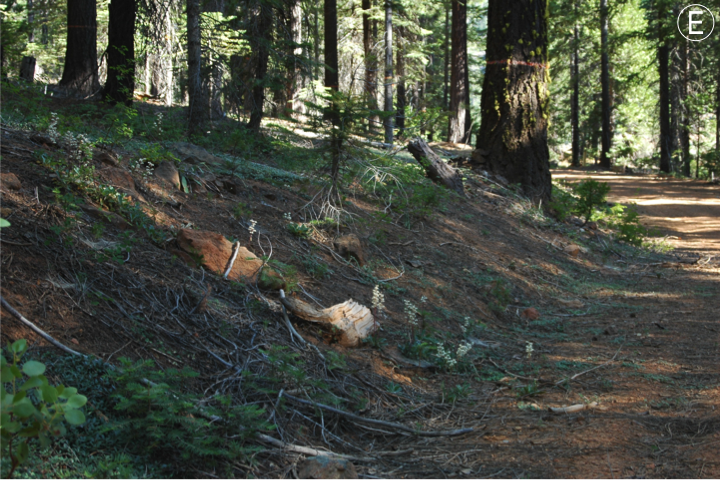 One of my favorite field sites for studying Pyrola: near Lake Almanor, California. I think I recognize some of those pictures! Pyrola picta is such an interesting plant. I never thought about the white mottling as camouflage but that seems like a reasonable explanation.